This is a simple and fun kids science project. 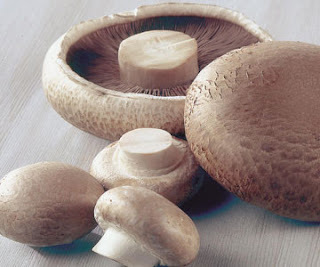 Next time you are at the grocery store, pick out a large porotabello mushroom. On the under-side of the mushroom remove several of the "gills" and place them under a stereo low power microscope. What do you notice about the patterns in the gills? A mushroom is a fleshy, spore-bearing fruiting body of a fungus. Even the mushrooms that are safe to eat are considered fungus! The mushrooms purchased in the grocery store are safe to eat, but do not eat mushrooms found in the wild - many are quite poisonous and will make you sick. Next, take a small thin section of the underside of the mushroom and place it on a slide under a high power biological microscope. (Make sure the section is thin enough to allow light to pass through it). What differences do you notice at higher magnification? Outside, take a look around some large trees that receive plenty of water in the summer. 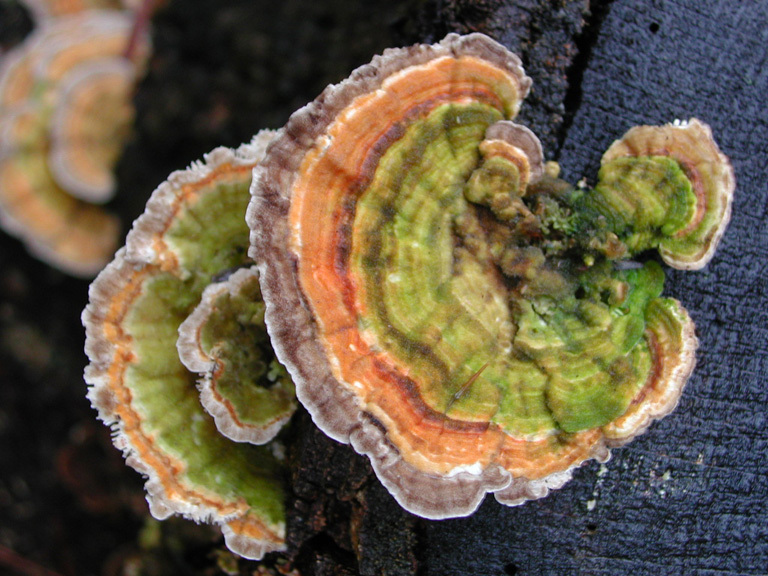 Do you see any growth or fungus on the tree such as the one shown below? Once you locate some tree growth or fungus, remove a small piece from the tree and look at it under your stereo microscope. Then slice a small thin piece to view under the compound microscope. What do you think makes up the variety of colors in the fungus? In order to view spores from the mushroom, take a fresh mushroom purchased from the store and cut the stem off. Place it cap-side down (gills on the bottom) on a blank glass slide and cover it with a bowl overnight. Some spores should fall off the mushroom in the night and end up on the slide. Carefully remove the mushroom and cover the slide with a cover slip. Using a compound biological microscope look at the slide. What do you notice? Are the spores uniform in size? Document your findings and share them with your science class when you return to school in the fall.